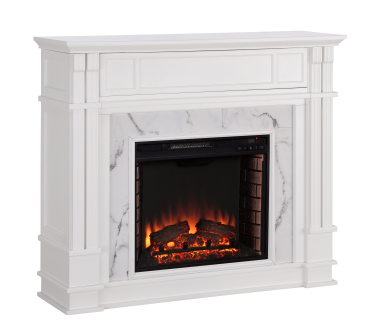 Conjure a romantic feel with this white on white electric fireplace. Linear woodwork encapsulates crisscross hatching of lifelike marble veneer. 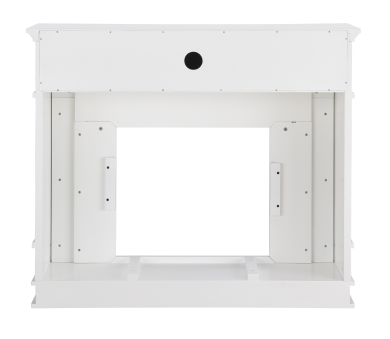 Designed as an entertainment console, beautifully convenient beneath a wall mounted TV; a recessed-door shelf hides the mess of media equipment. 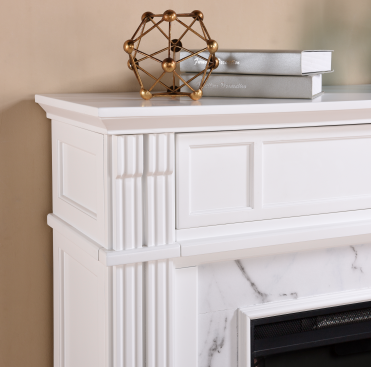 Warm up your living space with this classically inspired entertainment center fireplace - a must for any home. True to life. 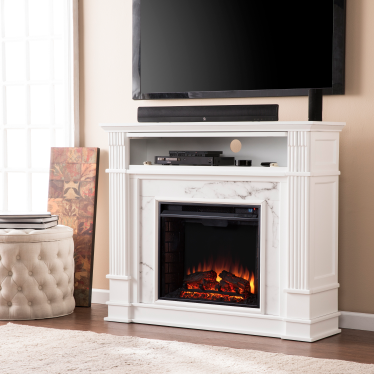 This electric fireplace saves energy with long-lasting, cost-effective LED bulbs, while igniting ambience with realistic flames and supplemental heat. 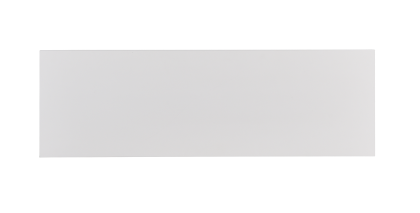 No professional installation required, simply plug into any standard outlet. Control from your favorite easy chair with the easy-to-use remote control. 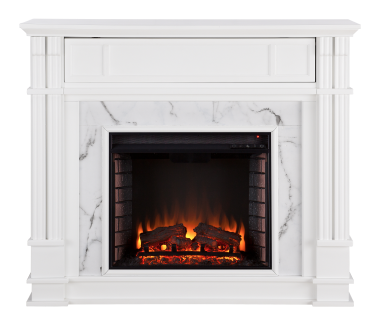 When you crave the look, but not the heat, turn on just the flames and enjoy year-round! Note: This media center fireplace does not function as a TV stand. Do not place TV on mantel. 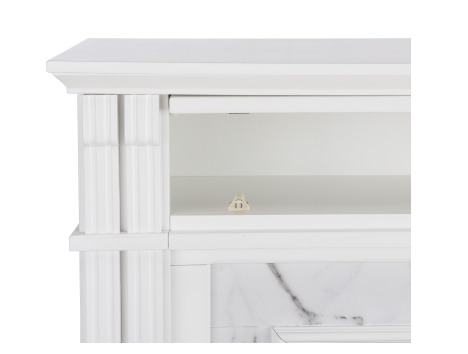 Is this an infrared fireplace? 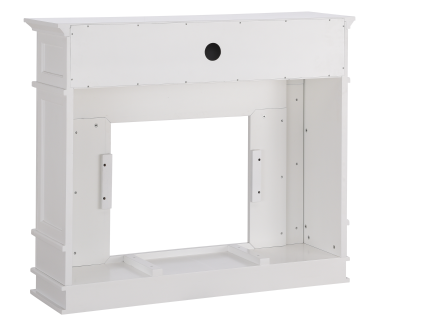 This model is not infrared, but it does feature a very nice quartz heating element that can provide supplemental heat for areas up to 400 square feet in size.